Well, 2017 is almost over. To be honest, I am ready for it to go away and to start a fresh new year. I really have not felt like sharing much in 2017 and it showed in my blogging but I want to get back to it in 2018, if only for myself to recognize what I have learned and shared with others. I figure I should put the year in perceptive and get ready for a fresh start so here goes. 2017 was the year of weather and frustration for me. 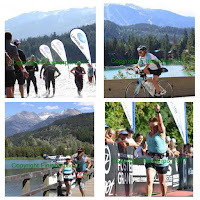 Most of my races featured weather as a big part of it, the cancelled half marathon in Disney World, the truly Hypothermic half marathon 10K in March and the heat in Whistler for Ironman Canada 70.3 and the Army Run half marathon in Ottawa. It was not a great year of training with injury and other problems but the weather certainly did nothing to help me this year. It is frustrating to have something you can not control screw up your race day! Other things in my life that I could not control also messed with my year. Being a business owner is tough and this year carried on where 2016 left off and proved to be more challenging than I could ever imagine. It is hard enough to juggle everything when it is going well and almost impossible when it is not! I know my training and mental attitude suffered because of all the work stuff. I would like to think this will change for 2018 but probably not so I am going to have to sort it out and decide what I can handle and what I can not. 2017 had some high points for sure and it revolved around helping my friends achieve their goals. I have been friends with Jenny since I was 13 and eventually we both started running. 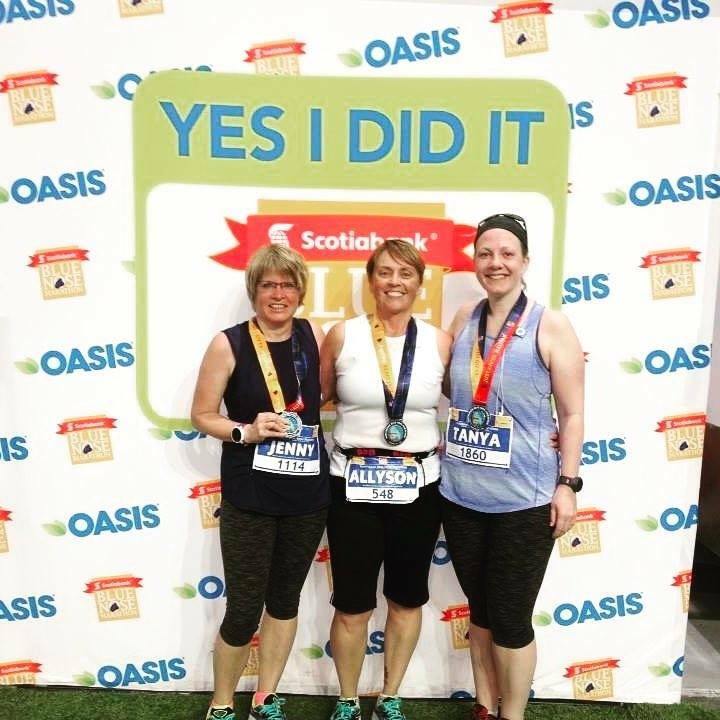 For years she said she wanted to run the Bluenose half marathon and I said I would come and run it with her if she wanted. 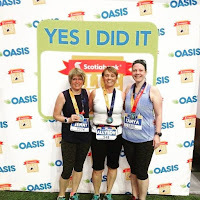 It was the highlight of my spring to cross the finish line with her and Tanya, both completing their first half marathons. In July I did a local swimming event called Bring on the Bay with Anita. 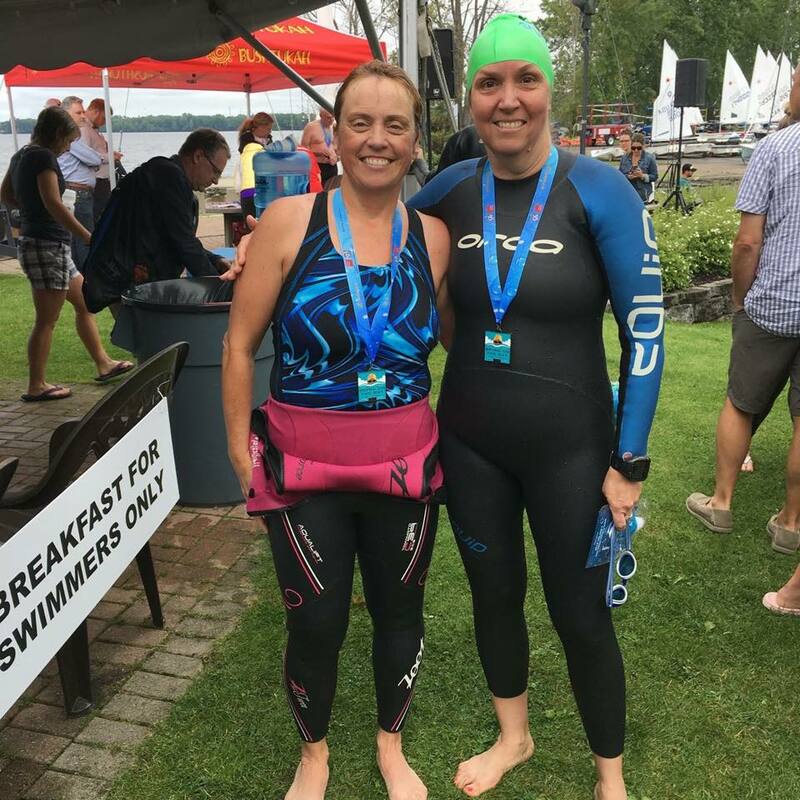 This was Anita's longest open water swim and I swam with her, just in case she needed anything. She rocked it and I was so happy that we did this together! I was feeling mentally and physically trashed and my coach told me I needed to de-stress my body and we decided to cancel my 2 remaining marathons of 2017. 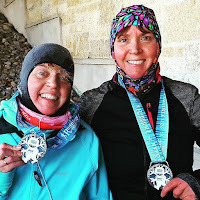 We changed up my training plan, added lots of strength training and some different runs and it was fun! 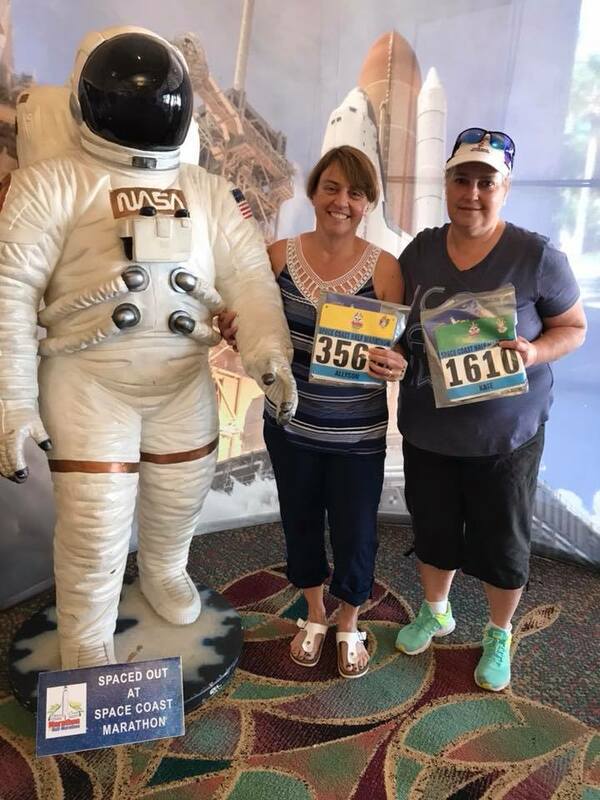 One of my marathons was in Cocoa Florida with my friend Kate. Kate was going through cancer treatments and I asked the race director if I could move to the half marathon to run it with her and they agreed. 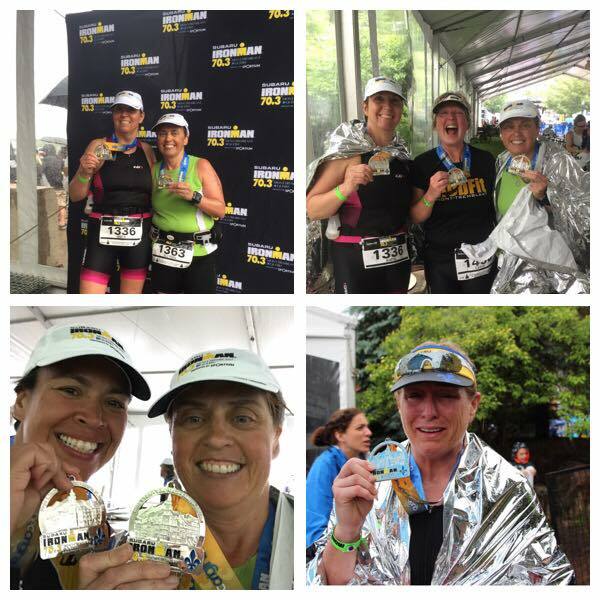 Kate and I had a great run together and we finished the race so she could accomplished the 5 year series challenge . If I need to be inspired, I look to Kate. 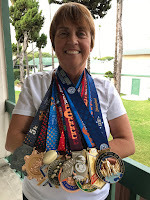 She never stopped swimming or running/walking through out her cancer treatments and was determined to finish this half marathon to achieve the 5 year goal. 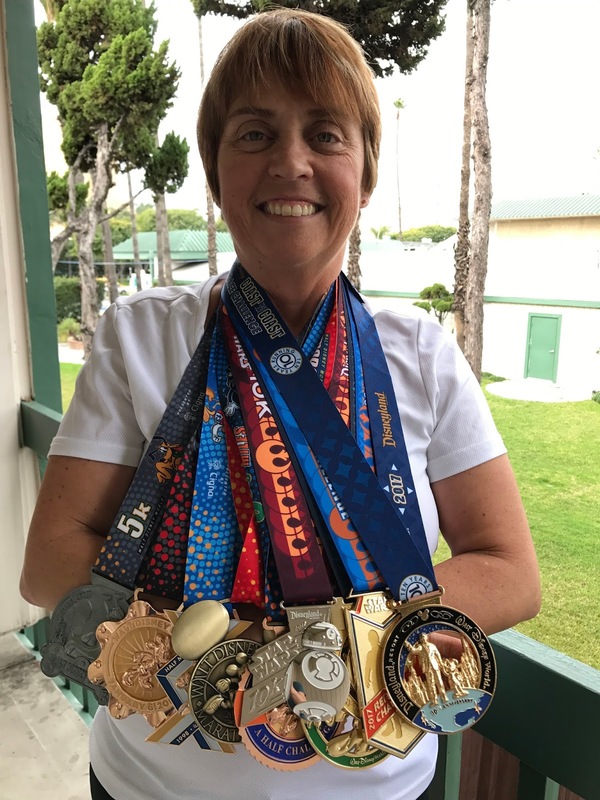 She has finisher her treatment now and is back to running and training, a truly inspiring person. My word for this year was strength and 2017 lived up to that! I learned how strong I was and how much stronger I need to become. I learned that strength comes in believing in yourself and when you can't others can help you by giving you some of theirs to carry you through. 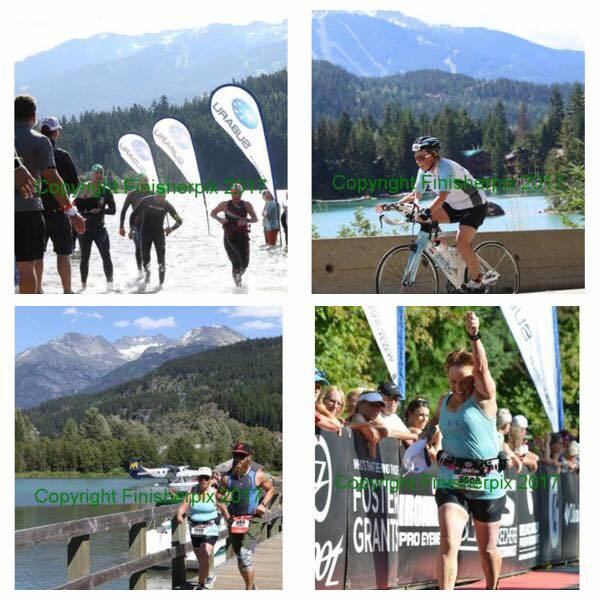 I could not have gotten through this year without Neale, Ray, Anita and Caitlin, my constant cheerleaders, my strength when I am weak and who believe in me always. I tried to learn all the lessons this year provided and am ready to move into 2018 a stronger person for it all!